The group stage of the European leg of the 2018 World Cup qualifiers comes to an end on Tuesday, with many-a-dead-rubber set to be played. One such fixture involves Belgium, who will look to finish their campaign with a bang when they host Cyprus at King Baudouin Stadium. The hosts were the first European side to book their place in next summer’s competition, last month, when they beat Greece. Roberto Martinez’s men are, in fact, unbeaten in their qualifying campaign, winning all but one of their games so far. Cyprus, on the other hand, will be disappointed by their performance in their campaign as they currently sit second from bottom with just ten points. The visitors come into Tuesday’s game on the back of a 2-1 loss to Greece. The reverse fixture, earlier in the campaign, ended with a comfortable 3-0 win for Belgium as Romelu Lukaku struck a brace to inspire the away success. Ahead of their latest meeting on Tuesday, The Hard Tackle takes a closer look at the encounter. Roberto Martinez’s men kept their unbeaten run intact on Saturday as they fought hard to beat Bosnia 4-3. But, the result came at a price as the Belgium boss is now without another key first-team player, and possibly for a long while. Marouane Fellaini hobbled off midway through the first half on Saturday after picking up a knee injury, and the early reports suggest that he could be sidelined for the remainder of the month. In the absence of the Manchester United man, Leander Dendoncker could get the chance to start on Tuesday. Martinez is also likely to hand an opportunity to a few fringe players on Tuesday, with his side’s qualification already guaranteed. Therefore, the likes of Youri Tielemans, Nacer Chadli and Thorgan Hazard could get a chance to start. Meanwhile, Romelu Lukaku’s participation is still uncertain due to a knock that he is recovering from. In his absence, Michy Batshuayi is expected to make his second start for Belgium, having scored the winner for his side on Saturday. Unlike his counterpart, Ran Ben Shimon does not have any pressing injury concerns to deal with ahead of the visit of Belgium on Tuesday. Therefore, the Cyprus head coach is likely to pick his strongest possible side against the Red Devils with the aim of ending their campaign on a high. The key man for the visitors will be top scorer Pieros Sotiriou, who added to his tally against Greece, although he couldn’t inspire his side to a win. On Tuesday, the FC Copenhagen striker will again need to be at his best in order to help Cyprus take a point, or three. Captain Jason Demetriou, meanwhile, will have the task of marshalling his defensive unit in order to deny the dangerous Belgian attack many opportunities, although Konstantinos Panagi is likely to face a barrage of shots on his goal. Belgium are yet to lose in a meeting against Cyprus, having won each of their previous three games without conceding a single goal. The two sides are, in fact, meeting for the second consecutive qualifying campaign, having also faced off in the Euro 2016 qualifiers. Cyprus are without a clean sheet in 22 away games. Belgium have lost just one of their last twelve games, since bowing out of Euro 2016 (W9 D3), and none of their last ten. Belgium have averaged a staggering 5.5 goals per match in their four home 2018 FIFA World Cup qualifying games thus far. Michy Batshuayi’s career for both club and country has been a constant struggle for the last season and a half. A super-sub at best for both sides, things might just be starting to take a turn for the better, at least at the international level. Romelu Lukaku’s injury afforded him his first start for Belgium, and he justified his selection by netting a goal for his side. On Tuesday, he’s likely to get another run from Roberto Martinez, and another strong outing could give the Belgium boss much food for thought. Expect him to turn in a solid performance. Belgium have looked the strongest European side in the World Cup qualifiers, often scoring goals at will and swatting sides away with ease. With a wealth of attacking talents at his disposal, Roberto Martinez is likely to afford some rest to a few of his key players. 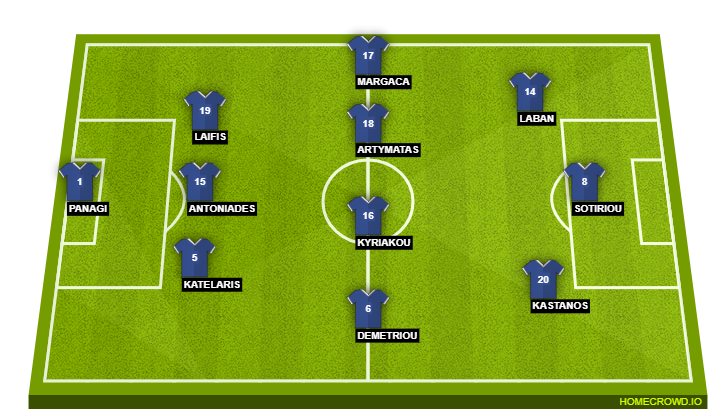 Despite that though, Cyprus are likely to find it tough to overcome the threat of even a second string Belgium attack. 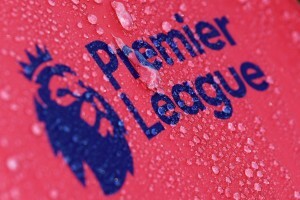 Therefore, The Hard Tackle predicts another comfortable outing for the Red Devils – a 2-0 win for the hosts.